Manjulika’s Mother as Maha Chudail! 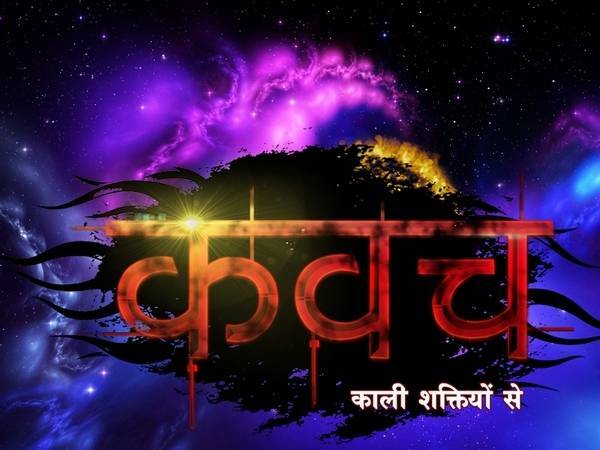 Kawach 9th July 2016 Episode Written Updates :- The horror TV series Kawach is going strong these days with high-voltage melodrama and climax and the crux of the story is revolves around the Chudail as Manjulika in the horror TV series in the Colors Kawach and Manjulika is there to ruin Pari and Rajbeer’s life but somehow Pari is managing to deal with Manjulika. Now the horror TV series Kawach is all set to rope another Chudail in the show and she will arrive in the Bundela house in order to ruin the Rajbeer’s and Pari’s life. The veteran TV actress Ashwini Kalsekar will be seen as in the role of Mana Chudail, Saudamini in Kawach. She will portray the role of Manjulika’s mother. As per the ongoing track, it will be shown that Saudamini was killed by Rajbir’s family. Now, she has shown her daughter the way to free her and she also makes her daughter a perfect Chudail (witched) and she will be there to seek revenge from the Bundela family. As now as per the latest source now Manjulika and Paridhi will have a rocking return to the Bundela’s house. Her entry inside the house will be horrifying and later she will get inside Saroj’s body. Saudamini will instigate Manjulika and will ask her to take her revenge against Rajbir’s family as she hates the family from the core of her heart. As per our sources, Saudamini will behaves a grand and lavish entry in the Bundela house and she will be seen wearing a Bengali style Saari and her entire will be the elegance one. The latest report of the Kawach is suggesting that the onscreen character Manjulika played by Mahek Chall is all set to replace by a new face and she is no one else Bidaai fame Sara Khan who is all set to join the show in the coming days.